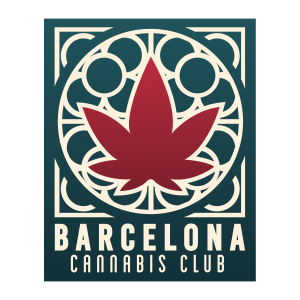 Super exclusive and internationally appealing, Club Cannabis Barcelona hits the stoner spot from the moment you become a member. Prepare to relax in a luxurious setting, start to smell the aroma of sweet skunk, and close your eyes and imagine vibing with hip beats and new friends. Message us 0-3 days prior to your arrival to request an invitation. If you want to come today, we will reply straight away, so don’t worry. Come to the reception desk and show us your invitation. Bring your ID and pay 30€ to complete de membership registration. Access our marijuana dispensary and enjoy our facilities. If you show up to Club Cannabis Barcelona without an invitation, you will be rejected. We would hate to do that, so please follow the instructions. Everything you need to know to become a member of the Club Cannabis Barcelona is on the invitation, so read it carefully. There is no need to call us. We can’t answer any further questions till we meet face to face at the reception desk, so please be patient. Ambience: Take a bake break on a fat couch and get intune with the spiritual side of life. Let yourself lean back and immerse yourself in a psychedelic experience. The ceiling at Club Cannabis Barcelona will have you sky high; a custom designed night sky with LED lights encrypted with astrological signs and shooting stars. Alongside of you, sheer drapes, fluffy furniture, and trendy decor create the private and most coziest smoking experience. A perfect place to meet people from all over the world― Puff puff and pass on over to Club Cannabis Barcelona for an exclusive experience. Crowd:The stereotypical pothead has never been a member of Club Cannabis Barcelona. But those who have been members are doctors, artists, students, celebrities, humanitarians, and more. A single plant is loved and consumed by people of different nationalities, cultures, and lifestyles. Despite color, race, religion or gender, all members believe in the powerful potential of the green plant. We believe our community is an authentic reflection of how society can be if we all pursue the same goal. Spark it:What are you waiting for? Surround yourself in a smoking setting outside of your parents basement or your friends garage. Become a member of Club Cannabis Barcelona and become inspired. Relax and engage in a exclusive location that caters to you. Meet people from all over the world and gain a better understanding of your mental, physical, and spiritual self. High times are awaiting you!